Large furnished 4 bedroom/3 bathroom home with large covered patio on large lot. Plus separate 1 bedroom/1 bathroom guest house that is 440 square feet. There is also a 400 square foot work shop that also can be converted to another apartment or garage, endless possibilities here. Lots of shade with trees, including mandarin oranges and grapefruit trees. 6 foot block wall fence surrounds property, so plenty of room for parking, pets to roam, etc.. 10 minute drive to beach. Walking distance to convenience stores, restaurants, shopping, etc. Lot can be subdivided. The 4 bedroom home is currently rented thru Airbnb, and last years income was over $16,000; and that didnt include the guest home where the owner stays. Terms available with 50% down. Come take a look. Brand new 2bd/2ba home built in 2019 in a gated community. Single level. One block from the ocean, just steps to the Sea of Cortez so you can watch those dolphins go by or take strolls along the beach. 1650 Square foot living area with 350 square foot 2-car garage. 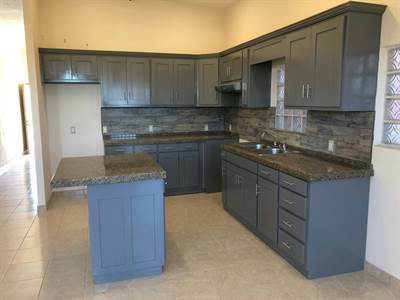 Full kitchen with granite countertops, appliances to be included. All LED lighting and ceiling fans in bedrooms. 12 foot interior ceilings. Security screen doors. 3 mini splits to be included. Small back yard, perfect for your pets. Can build a deck on rooftop for oceanviews. Walking distance to restaurants, bars, stores, etc. 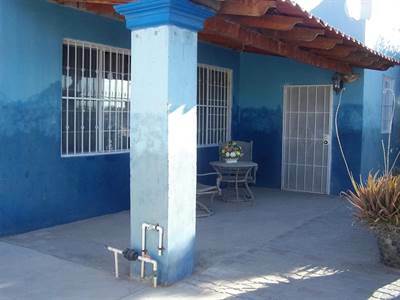 Conveniently located in the Mirador area with city electric, water and sewer. Must see to appreciate. 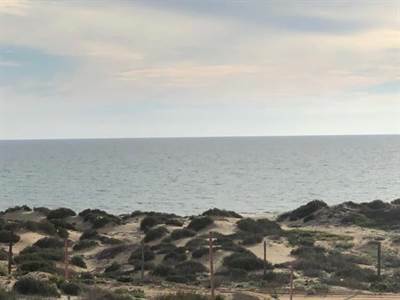 Una parcela con 323 metros de playa a solo $2.96 M2, son 46.57 Hectares total en las in Las Lagrimas. Localizada en las playas al oeste de Puerto Peñasco en km 10 en la carretera asi a rumbo de El Golfo/Santa Clara. La escritura esta dentro de una Sociedad Mexicana. Parcelas empiezan frete a la carretera en el kilometro 10 hasta colindar con la playa. 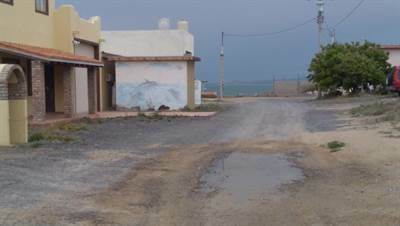 Esta a 300 metros de la parcela de Playa Mia, 3 millas de Laguna Shores, 4 millas de Laguna Del Mar Jack Nicholas Campo de Golf & 5 millas de el HOME PORT de los barcos cruceros que esta en construccion. Electricidad y fibra optica esta en la carretera y linea de telefono cellular ya existe. Localizado a una hora de la frontera de Arizona y 4 horas de la frontera de California. La costa de Baja California es visible a el otro lado del Mar de Cortez. Un lugar excelente para un desaroyo, no hay muchas parcelas disponible. Se puede comprar a pagos!!! 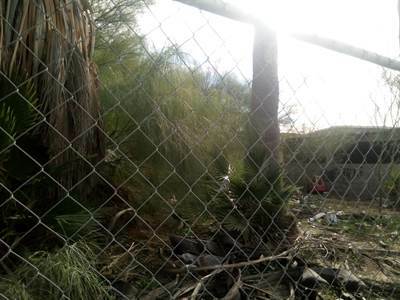 Parcela esta ubicada en la carretera costera, cerca de los traques de ferrocaril. La parcela es considerada residencial y comercial. Hay muchas posibilidades como un hotel, viviendas, desaroyo de juvilados y un parque para RV’s. Una de las ultimas parcelas cerca al Home Port de los barcos cruceros. 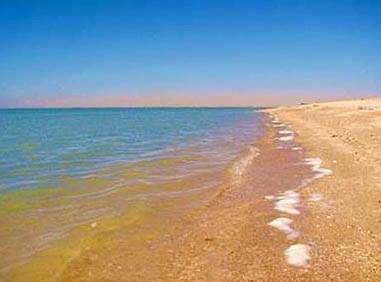 • lot / land – FOR SALE USD25,000 . in San Rafael, Puerto Penasco Announcing a price drop on M140 L9 & 4 Rio Colorado 513 & 53rd, a 1500 sqft , 2 bath , 3 bdrm single story. Now FOR SALE USD50,000 . Seller Motivated! 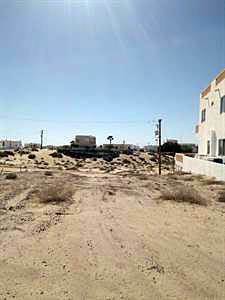 This lot in Cholla Bay is ready to build your dream home in this great location that has beautiful views. Walking distance to the beach, local park or even the Boys Club. Property has retaining wall along with septic & electrical hook ups for RV.